It has rained pretty much for 24-hours straight and that rain has been fairly warm, only now turning colder. I can hear it beating on the roof and hitting the windows just outside my office. It is kind of comforting, even though it is a sure sign that winter is on its way. Anyway, I find myself sitting at my desk even more than usual because I can't go outdoors. Although I have told many stories about my own experiences with the dharma, I find some time on my hands, so I thought I could share a little more over the next few days (with those interested) on how I found the dharma. I talked dharma back in the late 1950s, and played at meditation in the 1960s, but it was not until the 1970s that that the dharma really got hold of me. That would be when I met the great siddha Chögyam Trungpa Rinpoche at Ann Arbor in February of 1974. I got to be his chauffeur for a time. It was clear to me on contact with Trungpa that here was an authentic supramundane being, and this was not my first rodeo. I had encountered two such beings before, and both had become life initiators. For someone who had avoided school and teachers all my life, I am surprised at how docile I become confronted by a little authenticity. I guess this is what I am always waiting for. And I am equally amazed how these spiritual beings just somehow magically link up with me. Perhaps they are looking for me as much I as I am looking for them. Like magnets, two minds just mix. 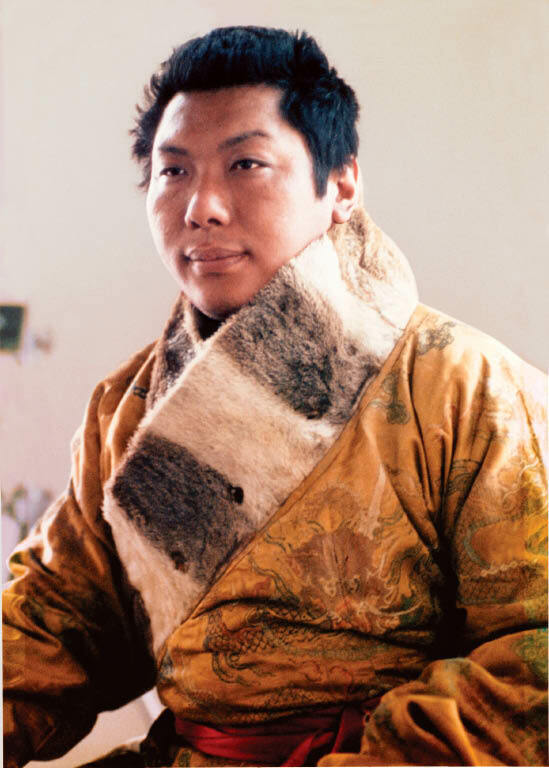 Trungpa Rinpoche, without saying a word, managed to communicate to a number of us that the dharma was not something to just talk about as we had been doing, not the intellectual philosophy that we had mistaken it for. Instead, Trungpa pointed out that the dharma was above all a path to take, a way of life, the most practical steps to awareness and realization possible. That message stopped me cold in my tracks. There was nothing I personally needed at the time more than something practical, like an authentic method and a path. And here it was. At least for me, Trungpa Rinpoche brought the intellectual-Buddhist kite I had been flying crashing to earth. Just that brief contact with Trungpa Rinpoche and the dharma immediately became something practical. And it was not just me. Trungpa did this for a whole generation of dharma students, brought us right to where the rubber meets the road. What a relief that was. I had no idea that the dharma was already so much a part of me. I believe that Trungpa Rinpoche was an extraordinary teacher, what the Tibetan Buddhists call a "siddha," one who has attained spiritual realization. I experienced this in his response to me personally as well as his response to a number of other folks that I witnessed in his presence. When I listen to tapes or watch videos of Trungpa Rinpoche these days, it surprises me that his English is not perfect as I remember it was at the time. Back then he seemed to speak perfect English. What I now see is that he had absolutely mastered most of the idiomatic English of that time and used it so ingeniously that I experienced it as flawless because it struck to the heart. He communicated like few other persons I have ever met. I am not the only one who felt this way. As I have told many times before, Chögyam Trungpa Rinpoche taught me to meditate during that visit, and what an initiation that was. He certainly turned the wheel of the dharma, at least in my mind. It was later that same year that I met His Holiness the 16th Gyalwa Karmapa, Rangjung Rigpe Dorje, who Trungpa Rinpoche very much looked up to. The Karmapa, like the well-known 14th Dalai Lama, is head of one of the four major lineages in the Tibetan tradition, in this case the Karma Kagyu Lineage. It was years later that my root lama, Khenpo Karthar Rinpoche, told my wife and I to go see His Holiness the 17th Karmapa, Ogyen Trinley Dorje, who was at the time in the high mountains of Tibet. And he told us to go there within a month! For those of you who have rain pouring down and a little time, you might want to read in the book of our Tibetan adventures. I took almost the whole family. I will try to get back to telling more about how the dharma came to the America I know in the next blogs.